SeaDry Blanket 1.500gr. High Moisture absorption > 3 litres. For usage within tightly packed containers. Speedy handling during container loading. Absorption cap. 200%. Qty per box is 8 pieces. 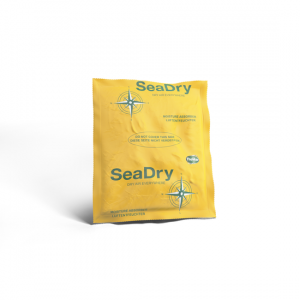 SeaDry Blanket 1.500gr. Absorbsion capicity 3ltr. Qty per box 8 pieces. 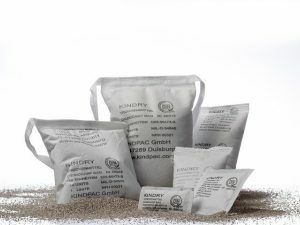 SeaDry products are used for cargo transport and storage, primarily for packaging with high water vapour permeability or without barrier hull. This high-performing SeaDry container desiccant reduces relative humidity levels as far down as 50%, thus minimizing the risk of condensation and moisture damage. Absorbed moisture is immediately bound as gel and is at no time present as liquid. For tightly packed container loads right up to the wall. 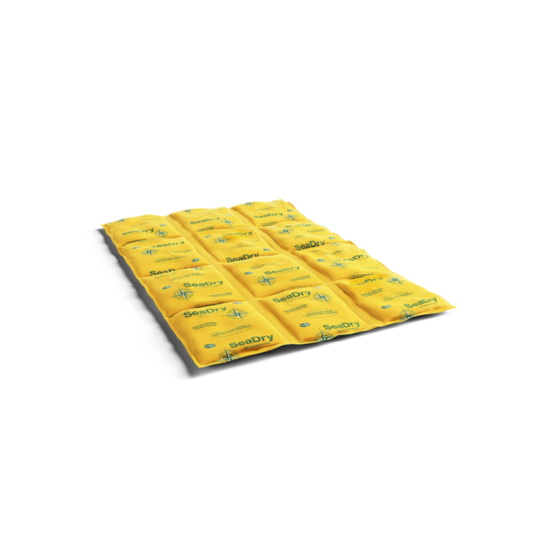 For high moisture absorption due to wet dunnage or pallets. 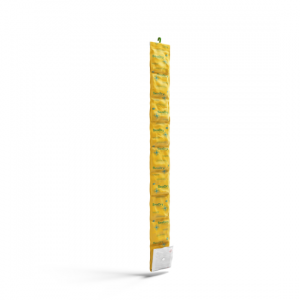 SeaDry Blankets should be evenly distributed on top of the packages or the cargo. A rear adhesive strip secures each blanket against sliding.